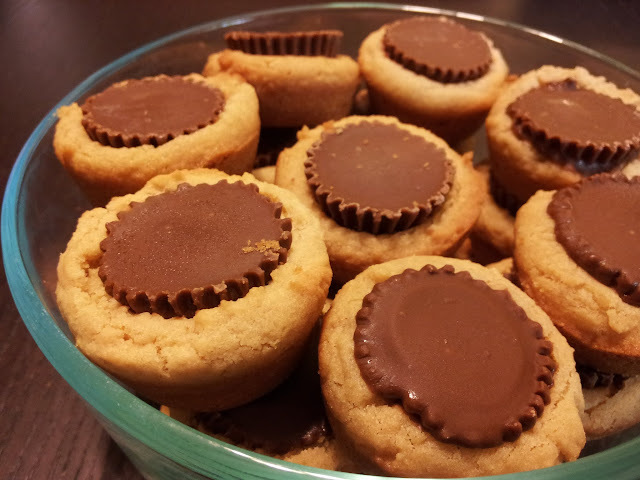 When I was growing up, my favorite type of cookie that my mom made was Peanut Butter Cup. I loved peanut butter, chocolate, and pretty much any combination of those two. 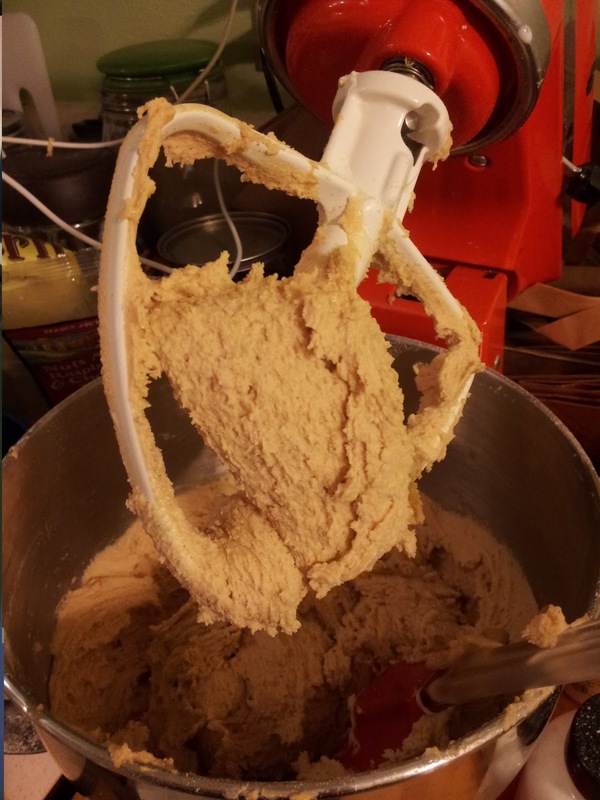 While no longer my favorite cookie, in my opinion, it's definitely still the most fun to make. Preheat oven to 375°F; Makes 7 Dozen. 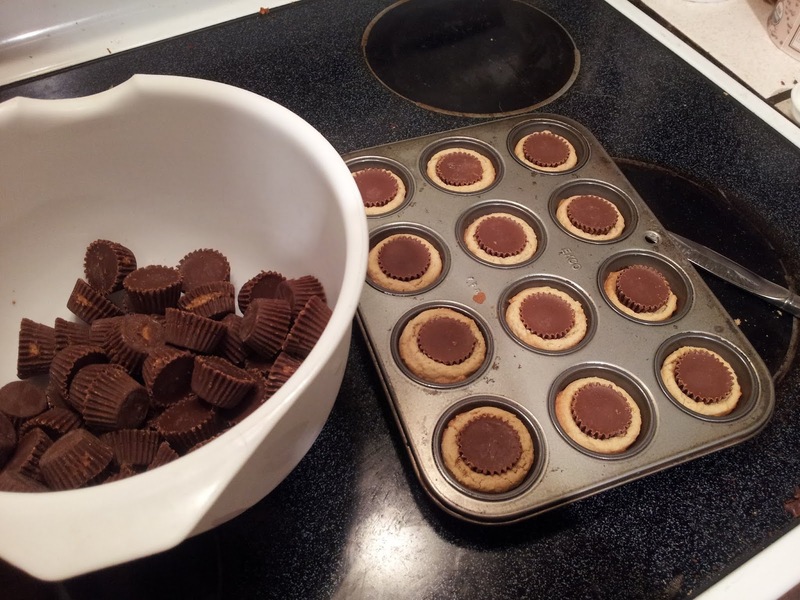 Before you start the fun stuff, unwrap however many peanut butter cups you'll think you need. I unwrapped 80 to start, as I didn't want to end up with a bunch of unwrapped candy (wouldn't that just have been awful? I would have had to eat it.. Oh well). Put the unwrapped candy into a dish and stick it in the freezer. Then, start on the chemistry bit. Cream together the butter, vanilla, eggs, milk and sugars. Pre-mix your flour, salt and baking soda in a separate bowl. Then, gradually add flour mixture to the dough. Make sure to scrap the sides of your bowl and the paddle to ensure all the ingredients get mixed in. 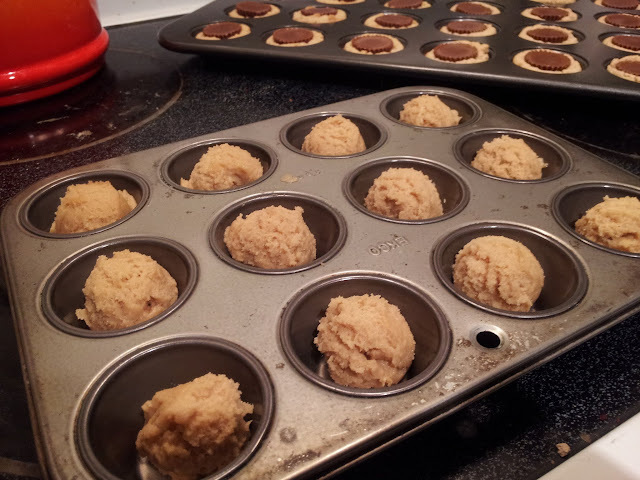 Place 1 inch balls into ungreased mini muffin tin. I used my cookie scoop to do my balls, but you can roll them by hand if you like. Bake the cookies for 8 minutes - Don't worry about the color, just trust me! If your first pan is under cooked, you can adjust your bake time, but 8 minutes is perfect! 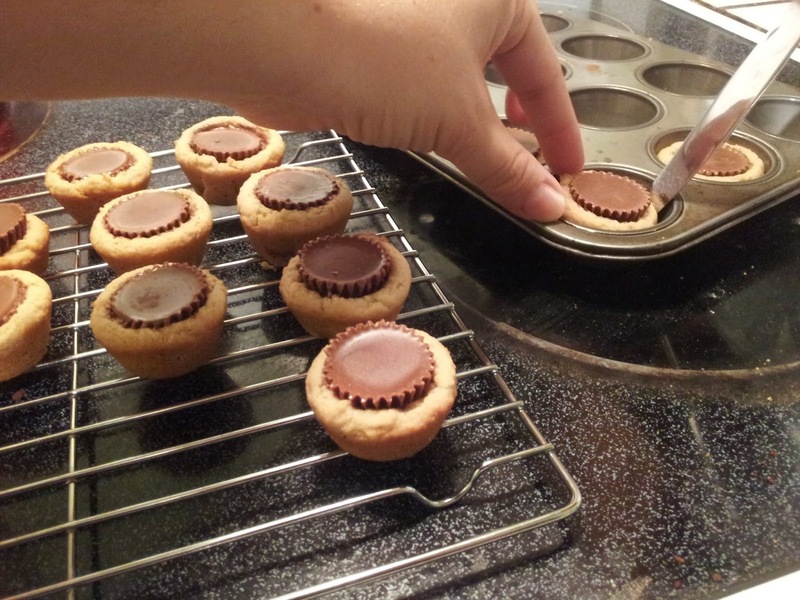 Once you pull the cookies out, let them cool for only about a minute before you start putting your peanut butter cups into them. You want them to still be soft and pliable when you put the frozen cups in. Press the cups gently and evenly into the warm dough, being careful not to burn yourself! The chocolate will start to melt a little, but don't worry. After a few more minutes of cool time, but while the cookies are still warm, use a knife to gentle lift the cookies out of the tray. Place them on a cooling rack and then, if you're impatient like me, stick the cooling rack in your fridge or freezer. It'll help keep the chocolate from melting completely. 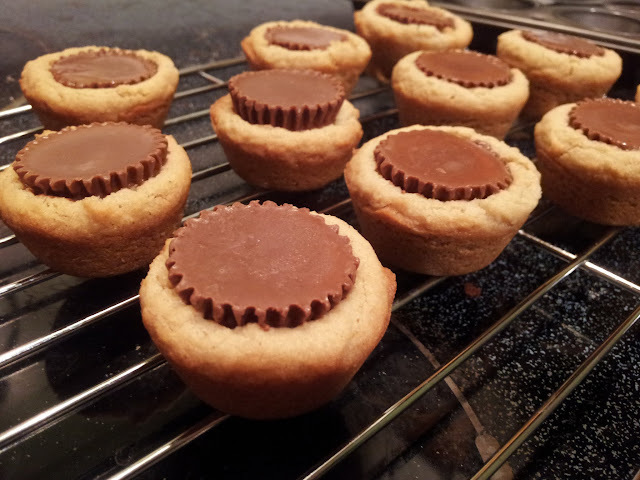 Once the cookies are cooled (or just luke warm), take them out and enjoy the deliciousness.